Yielding white water views of the sand and surf, this lot yields panoramic ocean and sunset views. Direct beach access are also of note. Dominicalito beach residents enjoy the ambiance and coastal culture of the famed bay of Dominicalito - a colony of tropical fish, monkeys, and miles of beaches, not to mention the best-in-county diving and tide pool offerings at Dominicalito beach. 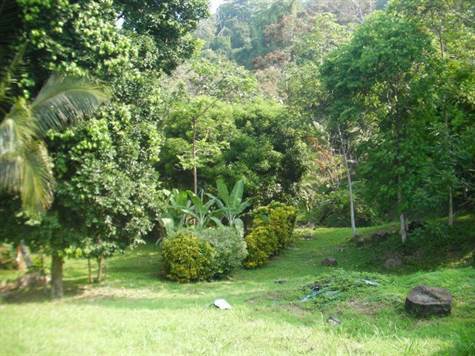 The owners of this 50% titled lot and 50% concessioned lot can enjoy walks along the beach that is child safe being that it is protected by a natural bay. For the fisherman at heart one can enjoy walking distance inshore fishing and or walking distance to all boats for deep sea marlin fishing. This is must see for anyone every wanting to live close to one of the most beautiful beaches in the world according to the locals.